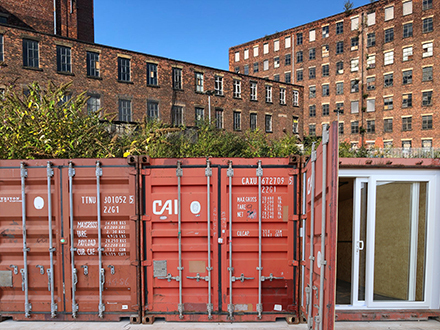 Having successfully launched our own brand of container workspace with Cardiff Containers, we started looking for new sites where we could go large and take our concept to the next level. Manchester has been on our radar for many years now. It’s a city full of creators and innovators and is crying out for more affordable, flexible workspace. After much searching we found a huge plot of unloved land not too far from the centre of Manchester. And Pollard Yard was born. 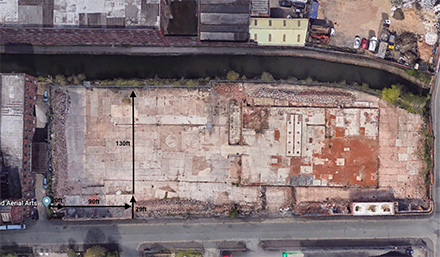 A warehouse once stood on the site but was demolished many years ago, with just a few exterior walls and foundations left intact. 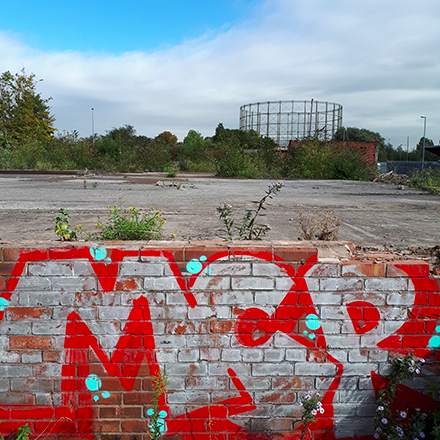 We took on the plot in September 2018 as a disused wasteland and got to work straight away on an epic site clearance. Next up? Infrastructure. 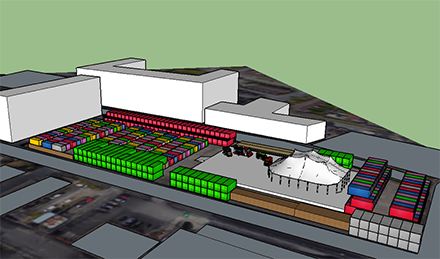 Unlike most new developments, we’re moving really quickly, pushing to get the site fit for purpose and the first set of container workspaces ready to view in November. At the moment the site looks like this…. But this won’t happen all at once. 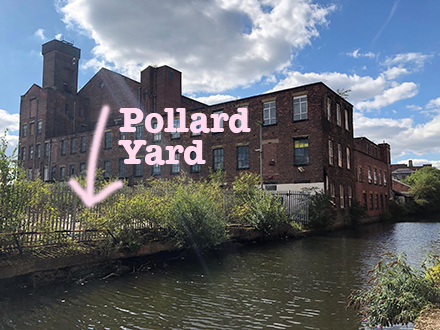 This side of Christmas we’re hosting an Open Day, when we’ll unveil the first Pollard Yard workspaces and give those interested the opportunity to reserve a space. 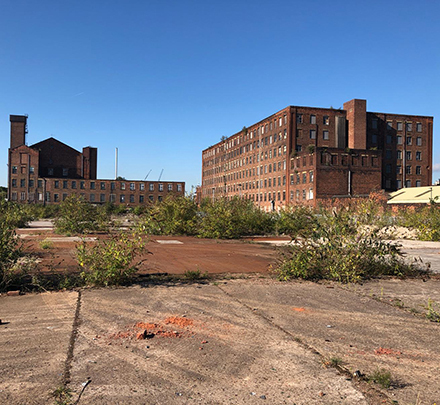 We’ll also be making the rest of the land available to local event, festival and market organisers looking for outdoor space in central Manchester. 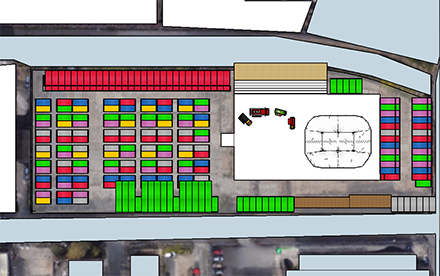 Eventually we hope to add another 200 container workspaces, a dedicated event space, plus we’ll be investing heavily in facilities and infrastructure. 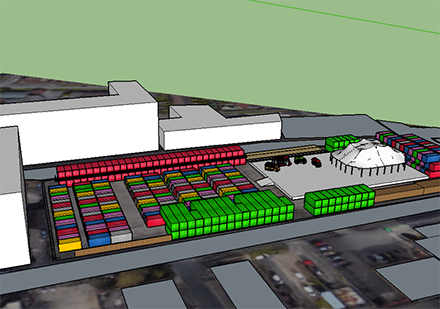 Pollard Yard will then be one of the biggest creative and community hubs in Manchester. 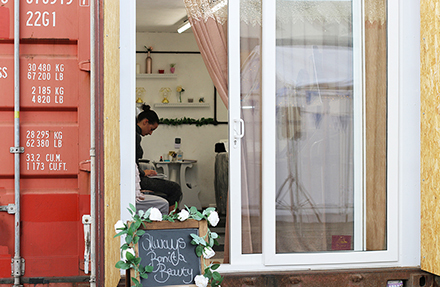 What will the pilot project spaces be like? 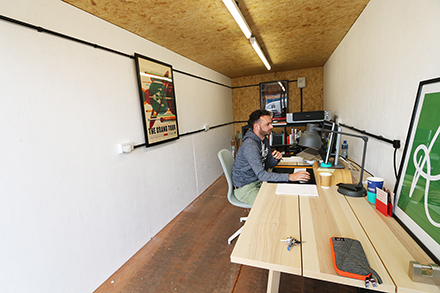 Each container workspace will be lined with chipboard and kitted out with plenty of power sockets and lighting. Units will be fitted with a double patio door at the front aspect, just inside the existing container doors. All in all this makes for a light, well insulated, secure private workspace. Both small and large containers will be available for rent, with around 30 spaces available as part of the pilot project in the new year. Our pilot project spaces will be super affordable and among the lowest prices on offer in Manchester. 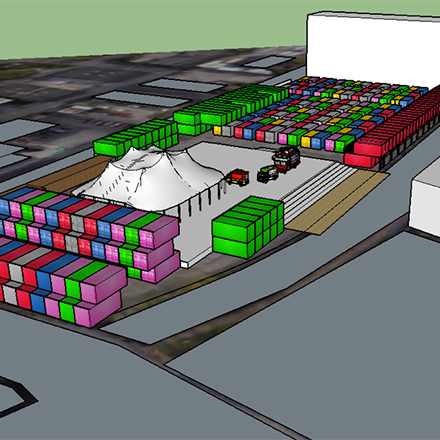 Small pilot project containers will cost just £160 a month and large pilot project containers £280 a month. These prices will be for the first 6 months only and are super low in reflection of the fact that onsite facilities will be on the basic side and the vibe pretty DIY in feel at first. Following the pilot project, monthly costs will increase to around £250-270 a month and £400-£425 a month. Pollard Yard is on Pollard Street East in central Manchester. The site neighbours Ancoats and New Islington, and is a 20 minute walk from the city centre along the canal. Not too far from the Northern Quarter and accessible by car, tram, bus, bike and foot. How can I get a container?! TWO. Come along to the Pollard Yard Open Day on 29 November. The Open Day will be the first opportunity that anyone will have to view and reserve a space. Viewing is essential. How can I run an event? We’re really keen to hear from people that want to make positive use of the land and run events over the next 6 months. Don’t delay, get in touch for more details now! 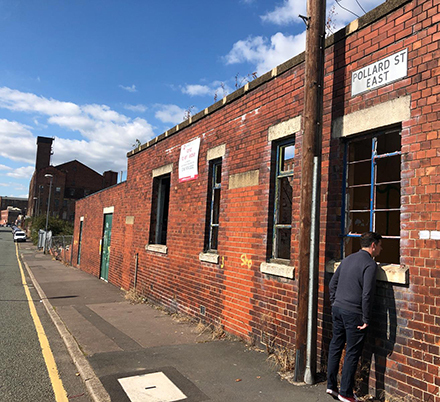 Pollard Yard is the biggest project Meanwhile Creative have taken on to date, so it’s a bit daunting, but really, really exciting, and we’re blown away by the positive response we’ve had in Manchester so far. Thank you! Will there be on site security? Lot’s of wrung uns round that area is a concern with expensive equipment inside! How is insulation and ventilation managed? What arrangements do you have for Internet? We own and operate a Metropolitan wireless network in Ancoats and can provide cost effective Internet quickly for the pilot phase. We are also on the government voucher scheme which can help fund the infrastructure costs. Happy to provide my contact details to discuss further? Hi Steven. We would definitely be interested in discussing this with you. Please can you email hello@meanwhilecreative.co.uk. Cheers!